There are as many models for valuing stocks and businesses as there are analysts doing valuations. While we often talk about the differences across valuation models, we seldom talk about what they share in common. In this seminar, we hope to emphasize the shared foundations of valuation approaches and how to bridge differences among them. 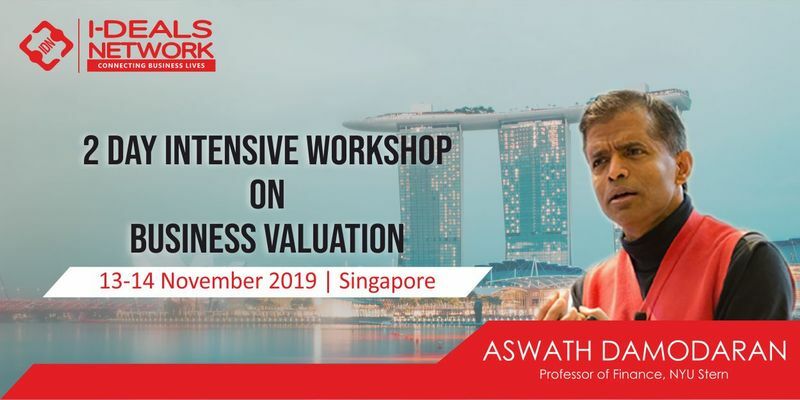 The first part of the seminar will cover the discounted cash flow valuation, and the estimation issues that come up when estimating discount rates, cash flows and expected growth. - The mix of basic valuation techniques & applications provided in this seminar will appeal to a widely diverse audience. - Equity research analysts, who are interested in examining alternatives to the multiples that they use or the linkage to discounted cash flow models. - Corporate financial officers, who want to understand the details of valuation, either because they are planning acquisitions or are interested in value enhancement strategies for their firms. - Analysts involved in mergers and acquisitions, who would like to acquire a wider repertoire of valuation skills. - Portfolio Managerswho are interested in the effects of corporate restructuring on firm value, and the implications for portfolio management. - Anyone interested in valuation. - Value a firm using multiples and comparable firms. - Analyze and critique the use of multiples in valuation. - Value “problem” firms, such as financially troubled firms and start-up firms. - Estimate the effect on value of restructuring a firm. For details and registration, please visit our website. In case of queries, please email us at register@i-dealsnetwork.com or call Whatsapp on +91 9953285105.